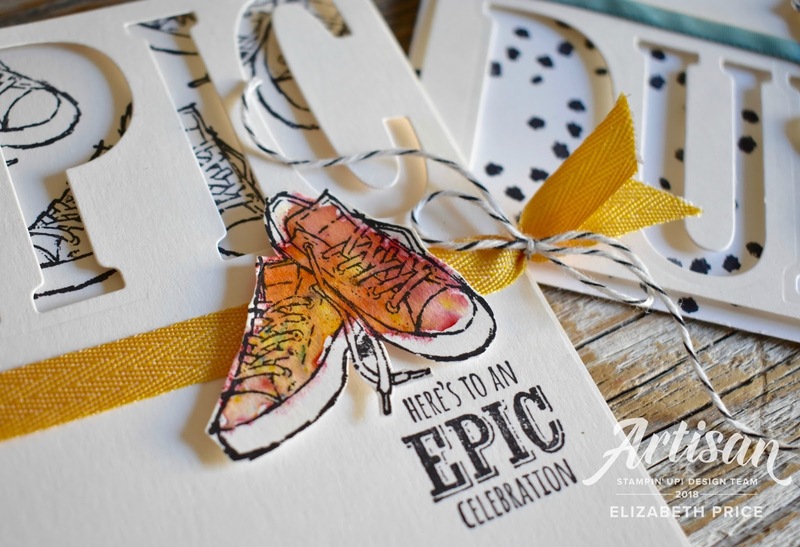 Blending analogous colors can create cool subtle looks for your hand stamped creative works. I think this water and painting ink blending process works great with hues that sit next to each other on the color wheel. 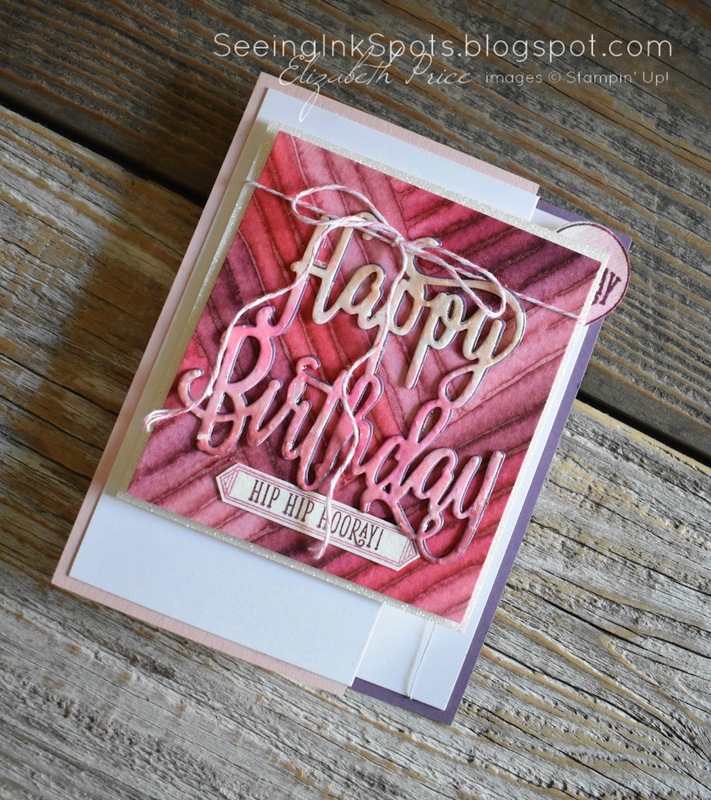 I shared this "tie dye" technique several months back, click over to here to learn how, where I made tons of background papers. Since then I continue to put them to use on my cards. To see what the other designers have crafted using this color combination head over to Hand Stamped Sentiments, be inspired, whip up a card or tag or box, and then share with us what you have made. 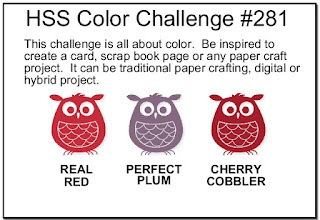 For my background my ink color include all three challenge colors AND Powder Pink and Fresh Fig. Stamps are all from the Happy Birthday Gorgeous Stamp Set. There's a hint of Silver Metallic Thread and a shoestring bow of Flirty Flamingo Bakers Twine. That color twine is my "go to" twine right now because it goes with almost everything. 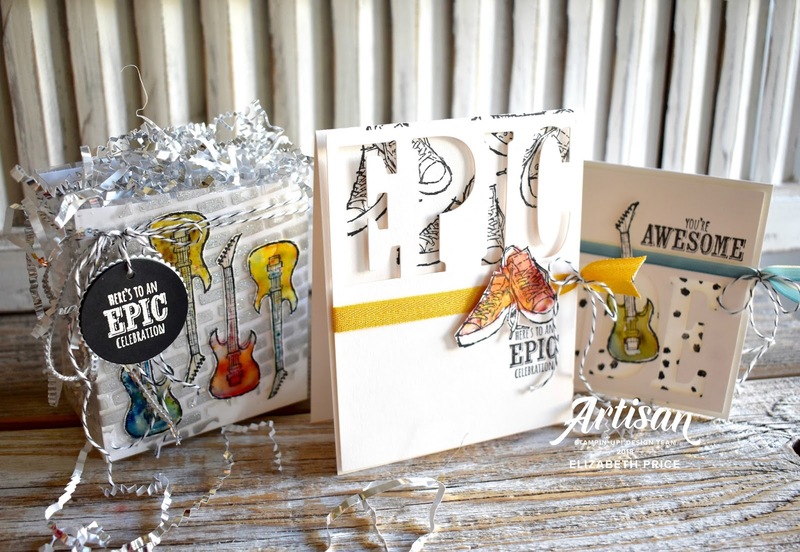 Welcome to the first Artisan Blog Hop of 2018. 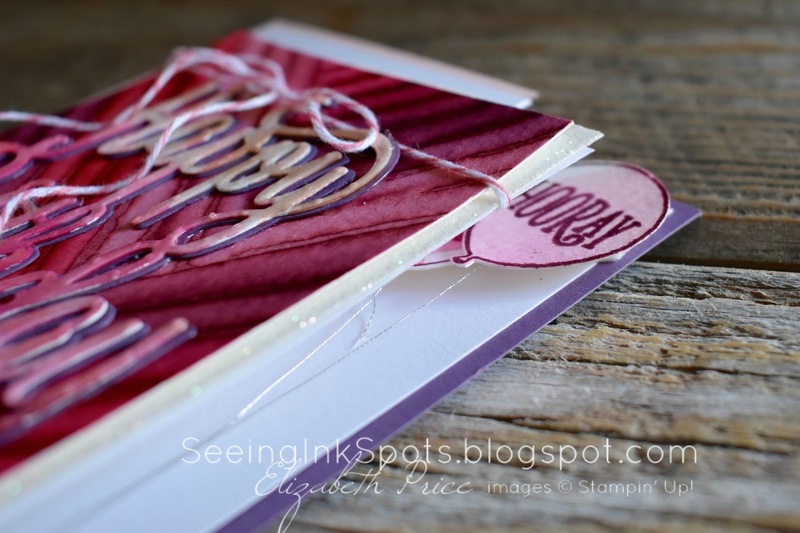 We have everything to celebrate this month, February, and March too with Stampin' Up! 's Sale-A-Bration! But first is it oaky if I celebrate this long awaited moment? I am elated to be creating with 15 powerhouse-superstar-amazing stampers from all over the globe representing Stampin' Up! 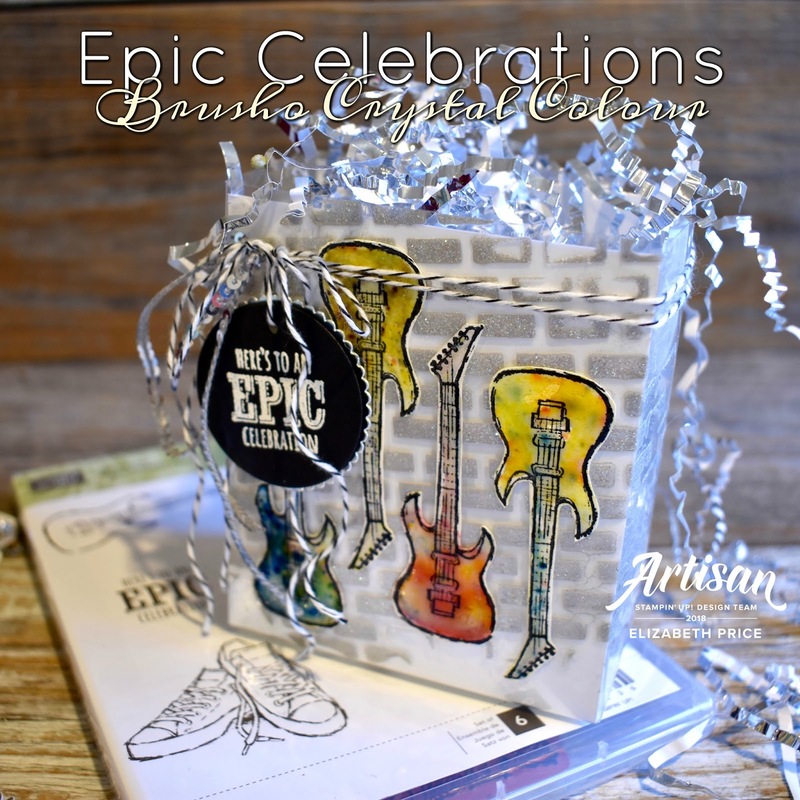 What is Sale-A-Bration? During Sale-A-Bration, you can earn exclusive free products with every qualifying purchase; you earn rewards when you shop, host, or join. I love the the Sale-A-Bration season. The stamp sets and accessories are always some of my most very favorite products and this year offers awesome new tools and toys you will want to get your hands on! My mind went reeling with all sorts of ideas the moment I thumbed through the Sale-A-Bration Brochure. One stamp set that fast grabbed my attention was Epic Celebrations. With a house full of guitar players, everybody but me, the set had to join my stamp collection. The guitars are my favorite part of the bag. 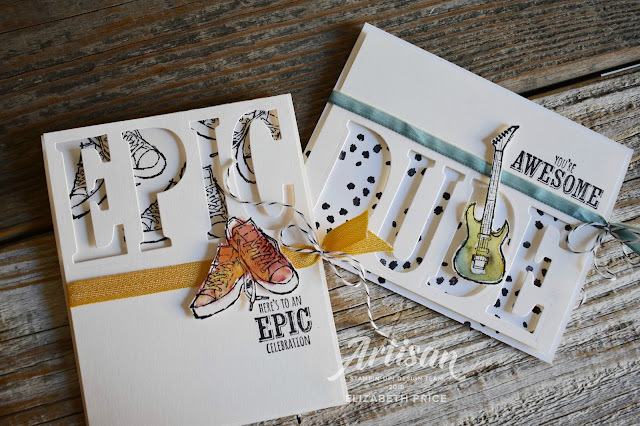 I stamped them with Basic Black Archival Ink on Shimmery White Card Stock and waited for them to dry. With an Aquapainter I colored plain water inside the guitars and then sprinkled Brusho Crystal Colour. I let the crystals and water do their magic and when dry I fussy cut them out with Paper Snips. 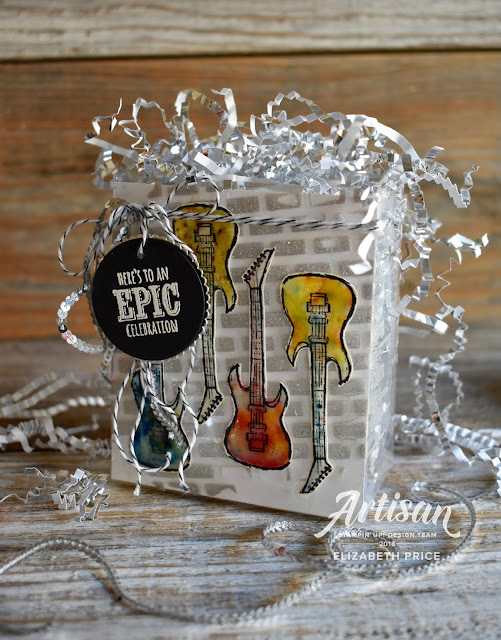 A thick layer of Fine Tip Glue coats each guitar for added depth and shine. For the cards I stamped again on Shimmery White Card Stock with Basic Black Archival Ink and added Brusho Crystal Colour. This time I kept the layout super clean. I cut the words "epic" and "dude" using the Large Letter Framelits. 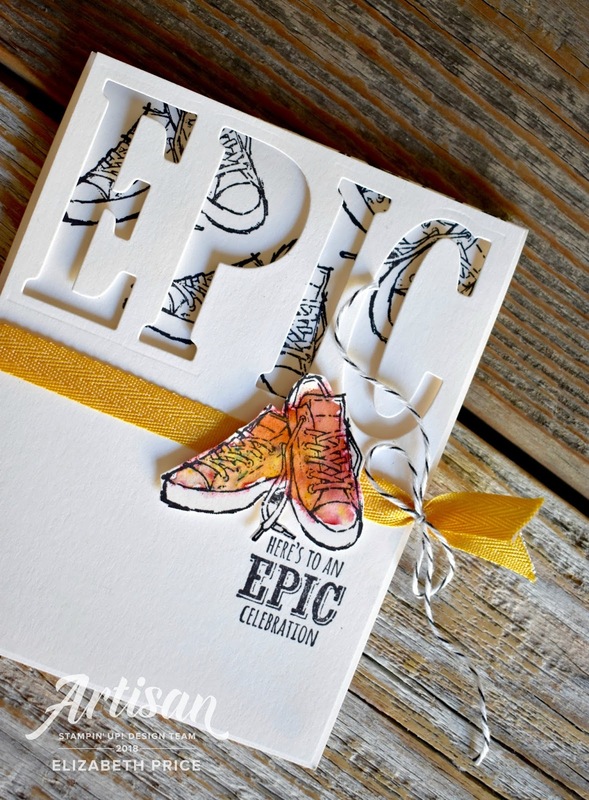 On my "epic" card I love how the shoelaces frame and lead the eye to the greeting. That kind of detail is totally me. What's not me is the color yellow. While I like yellow hues to create depth I don't typically feature them as a focal color. When the Brusho Crystal Colours dried in the sneakers/Chucks the Crushed Curry Mini Chevron Ribbon looked great with them so I went with it. 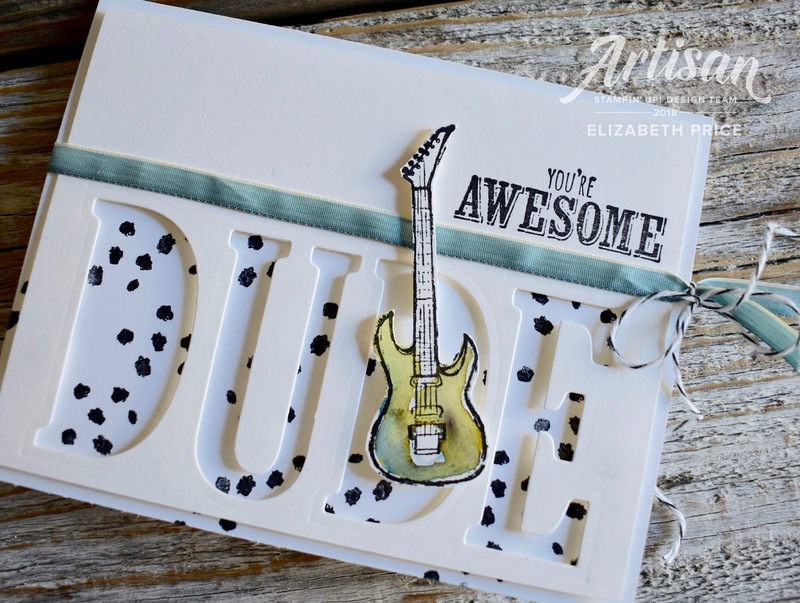 I use the word "dude" all the time--so this card is very me. It was designed for any of the dudes in my family because they are all awesome. 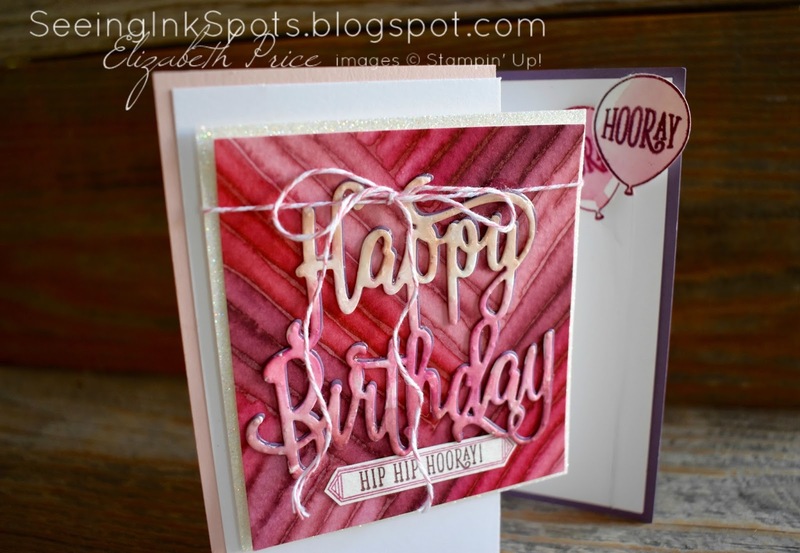 Thanks for stopping by my blog and to our first Stampin' Up! Artisan Design Team hop of 2018. Being a member of the team will be an epic celebration of which I am blessed to be enjoying. You are going to be delighted by your next stop along the hop. 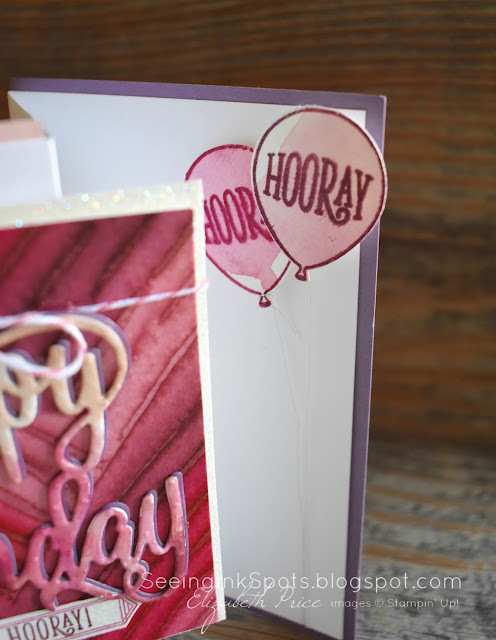 Emma Goddard from the UK has a post that is sure to inspire and get you ready to Sale-a-Brate.